If you have met me you know that I am as frightfully pale as a Cullen and despite having almond shaped eyes and getting asked if I am of Asian descent every now and again, I am pretty much epitomize the white girl next door. I was just saying the other day how I envied those born into a big _____(fill in Italian, Greek, Purple, etc.) family. I do have a huge extended family, but when we get together the food is pretty much standard American fare and the music is generally played from iPod speakers and not a family band. Anywho, this past month my husband and I did something that made me feel particularly white. We purchased tickets (pre-sale no less) to an event called "An Evening with David Sedaris." Yes, we joined the hordes of gay men and people wearing hipster black eyeglasses to listen to an author read aloud for 1.5 hours. Besides being aware of how white I was, it was increasingly clear how much of a geek I am. If you have ever been on the blog stuffwhitepeoplelike.com then you will know that liking David Sedaris is near the top of the list of what white people like. Now, I am NOT saying that no people of color like Mr. Sedaris or his works, but I will tell you that the packed audience of people sipping Merlot and wearing either a: 1) pashmina / scarf, or 2) a nifty hat was pretty much composed of 50 shades of Caucasian. If you don't know who David Sedaris is or haven't read one of his books, I would highly recommend it, he is, after all, pretty hysterical. 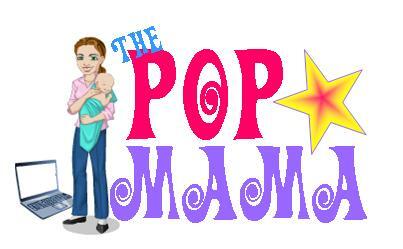 I also blog...about pop culture and parenting -- and I link the blog to my FB page. Make of it what you will. I would like to be less of a stereotype and any suggestions on how to do that are welcome. However, I think that just by putting that out there, I just became one. Oy.